I’m always really pleased to discover an unknown-to-me author and being involved with Shiny New Books has given me a chance to encounter some wonderful writers. A new name I reviewed in the current issue is Leonard Michaels, better known I think in his native USA than here. The blurring of the lines between fiction and fact is an artistic trope which is very much in vogue in current writing. Novels abound featuring real people, from Virginia Woolf and Dorothy Richardson in fictionalised retellings of their lives, through to Oscar Wilde and Josephine Tey in completely made up crime-fighting adventures. This tendency somewhat obscures the fact that much fiction has its basis in fact; and so how is the reader meant to deal with a book like this which is billed as a fictionalised memoir? To read the rest of my review you can pop over to Shiny New Books here. “Sylvia” is a thought-provoking read and it’s clear Michaels never really got over his first wife. Highly recommended – and don’t forget to check out the other wonderful bookish content on SNB! Sometimes with books there’s a kind of serendipity: you stumble upon something new-to-you and interesting in a charity shop which turns out to be a really great read; you find a little novella in a bookshop by the same author which is excellent; and then a lovely publisher brings out a new edition of the author’s best-known work. That’s what’s happened to me with Machado de Assis, and I can’t help feeling there’s some kind of book fairy at work somewhere! 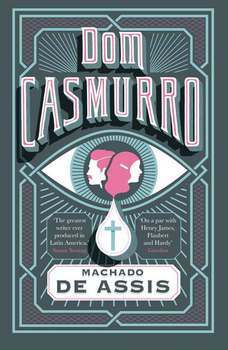 The book in question is “Dom Casmurro”, widely regarded as Machado de Assis’s masterpiece, and the lovely publisher is Daunt Books, who’ve very kindly supplied me with a review copy. And first off, I have to say this is such a beautifully produced book (as are all the Daunts I own) – lovely embossed cover, French flaps; it’s a joy! “Dom Casmurro” is the narrator of our story, and his real name is Bento Santiago; however, the nickname comes from his perceived reticence and aristocratic bearing. Bento is looking back on his life in his later years, reflecting on the past and his great love for his neighbour, Capitu. Bento lives in Rio with his beloved mother, a variety of relatives and the family hanger-on Jose Dias. As both young people are making their way through their teens a revelatory moment betrays to Bento his feelings towards Capitu. A kind of obsessive love takes hold of him, and the rest of his life will be determined by this love. Capitu is a complex character; portrayed as flirtatious and capricious, Bento is early on tormented by jealousy, convinced she’s going to be swept off her feet by someone else. Things are further complicated by the fact that Bento’s mother has made a promise to God that he’ll become a priest – which is the last thing he wants! A coconut palm that saw me perturbed and divined the cause murmured from the top of its crown that it was not unseemly for boys of fifteen to get into corners with girls of fourteen; on the contrary, adolescents of that age had no other occupation, nor corners any other use. It was an old coco tree, and for myself, I believed in old coco trees, even more than old books. Birds, butterflies, a grasshopper that was practising his summer music, all the living folk of the air, were of the same opinion. In “Dom Casmurro” Machado de Assis has created a wonderfully unreliable narrator! Bento sees events through a filter of his own sensibility, and all of his emotions are tempered by jealousy and insecurity. He eventually comes to suspect his wife and best friend of the biggest betrayal you could imagine, though the reader is never sure if this is the case or if it’s just a figment of Bento’s fervid imagination. Machado de Assis’ writing here is quite wonderful; his captivating flights of fancy are just lovely, and the narrative proceeds at what is quite a leisurely pace, allowing us to live alongside Bento, almost inside his mind and seeing things from his point of view. All of the characters are vibrant and alive; I was particularly fond of the self-serving Jose Dias, with his opinions shifting like a leaf in the wind! And there are wonderful examples of the absurd, with the narrative going off in unusual directions, which are just a delight. Let us be happy once and for all, before the reader, half dead with waiting, picks himself up and goes for a walk. However, the book is also a serious portrait of how jealousy can blight not only the life of the person consumed by it, but also those around them. Bento is marked by his mistrust, but it affects his wife, his friend and his son. Machado de Assis is a clever enough writer never to make it clear whether Capitu really *is* unfaithful, with all the consequences of that purported action also being in doubt. Jealousy is a poisonous emotion and here it certainly poisons all those around it. 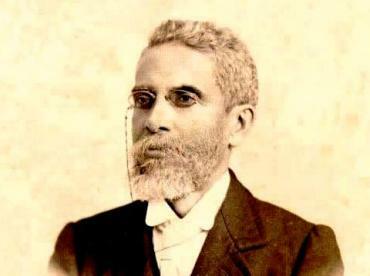 I find it hard to actually describe what it is about Machado de Assis’ style that’s so unique, but his work is quite unlike anything else I’ve read. Certainly, there’s an impressionistic quality about the writing, with some lovely imagery and a narrative that really gets us inside the head of Bento. This is the third of the author’s works I’ve read, and with each one I’ve loved his writing more and appreciated his very individual brilliance. I didn’t know quite what I was stumbling on when I discovered “A Chapter of Hats” in the Oxfam all those months ago, but I’m so glad I did because without that, I wouldn’t have read this wonderful work! Am I a trivial reader, I wonder? Strange question, you might think, but maybe not so strange; as I found myself initially attracted to this book simply by its strikingly beautiful cover design. Well, you have to admit that it’s stunning! However, I do have several of Bedford’s books on Mount TBR already (including the one I’ve ‘borrowed’ from OH), so I think I can be forgiven. Sybille Bedford, OBE (16 March 1911 – 17 February 2006) was a German-born English writer. 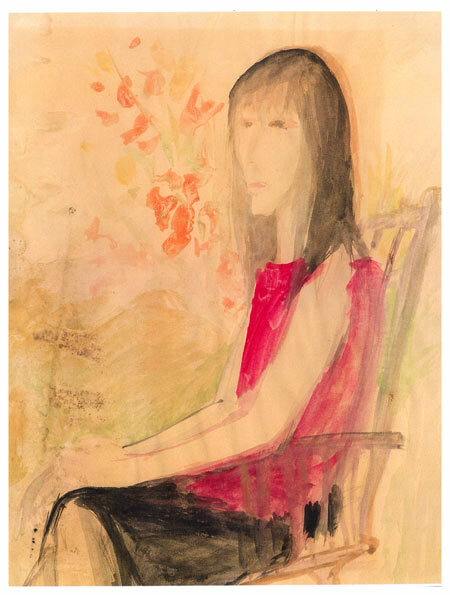 Many of her works are partly autobiographical. Julia Neuberger proclaimed her “the finest woman writer of the 20th century” while Bruce Chatwin saw her as “one of the most dazzling practitioners of modern English prose”. So, a force to be reckoned with, then! 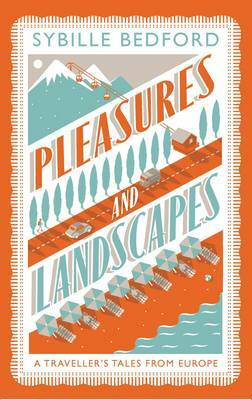 Pleasures and Landscapes is a collection of Bedford’s travel writing, distilled from another collection, “As It Was”, with the addition of previously uncollected pieces. These range in date of composition from 1954 to 2001, and capture wonderfully the landscapes through which she travels. This is Europe from the past; a seasoned traveller, Bedford is revisiting countries she already knows (Capri, Venice) but also tackling the new (Yugoslavia, behind the Iron Curtain). And how intrepid she is! Not one to visit a country and sit on a beach, she instead drives up and down mountains, goes off walking, meets up with Martha Gellhorn on several occasions, sees the highs and lows of the countries she’s visiting – and all reported in beautiful, evocative, limpid prose. Her writing is quite gorgeous – often just a string of beautiful words describing the elements of where she is, or the food of a region, which brings the place completely to life. And Bedford certainly does love her food – in fact, she could well have been a successful cookery writer, because the dishes of a particular area have great importance for her! She’s also something of a wine-fancier, and the essay “La Vie de Bordeux” is a fascinating account of a visit to the wine region of France to taste the new vintage. So – she didn’t think much of England in the 1960s then?! Despite that, this is a lovely, lovely book – beautiful evocative prose, conjuring up vivid images of places and people, but also with a sense of time having passed and so many freedoms lost. This if the first of Bedford’s work’s I’ve read, and it definitely won’t be the last! It’s worth mentioning up front that the historical context is very important to this novel as this was a generation who trained themselves into a mode of controlled behaviour that radiated from the top downwards. There’s an excellent afterword which explains this and can be read without fear of spoilers, so I’d suggest looking at this first if you’re not familiar with Soviet/Communist history. Anyway, the novel takes place mainly in 1956, an important year in Soviet history; three years after Stalin’s death, and Khrushchev makes his ‘secret speech’ denouncing Stalin and admitting that many people tried and convicted under his regime were innocent. 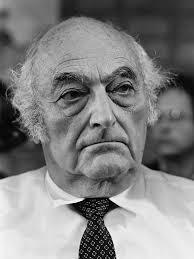 Our protagonists are East German architect Arnold Sundstrom and his younger wife Julia. On the surface the perfect couple, there is much locked away in their past which is never referred to – for Julia’s parents were Arnold’s friends, all three had fled to Moscow during the War to escape persecution from Hitler, and Julia’s parents were tried and executed as traitors. Arnold had promised to take care of their daughter and he did, in what might seem quite an odd way: raising her and then falling in love with her and marrying her! All this is kept hidden under the surface, gradually being revealed, as the novel progresses , and the couple initially live a regular life, governed by a socialist ideology in which Julia has total faith, with their son Julian, work colleagues and friends. Life in 1950s GDR is not easy, however – there are the constant uncertainties of toeing the party line; ensuring your building plans are socialist and not Western-influenced; and trying to read the subtle nuances required in your relations with other communists, where every word could be a potential mistake and you can never really say what you feel. Into this mix comes a returning comrade, Daniel Wollin – also an architect and friend of Julia’s parents, but one who has been in camps for years and has now been freed under the change of regime. I think this is a deceptively deep novel, and the more I think about it, the cleverer it seems and the more it’s trying to say. This is a book of ideas and ideals, full of symbolism. The architects of the title are not simply designers of buildings; we talk about architects of revolution, and the buildings are symbolic of the brave new world itself and the regime. Although impressive and imposing on the outside, they crumble and crack under the veneer and it’s obvious that Heym is using this imagery as an analogy for communism under Soviet control. The novel brilliantly captures life under communist rule in East Germany with its petty party politics and flexible loyalties, and some of the scenes where Sundstrom is conversing with his superior, almost in coded speech, are quite chilling. To be more specific, the female characters did come across a little clichéd; maybe if I’m generous this was intentional, and under this kind of regime they’re reduced to stereotypes. However, they did fit into the moulds – the naive beauty (Julia), the ugly but sexually potent woman (Waltraut), the unapproachable, sparkling society girl (Kathchen), the plain party wife (Elise Tolkening); and were often defined very much by their sexuality. Julia’s story is in some places more interesting than her character itself, although she does develop as the book goes on, and her complex relationship with her demanding and irritating son is perhaps meant to mirror the troubled relationship with her father-figure husband. Is her lack of memory of her childhood credible? I thought not at first but then under the communist regime it was often vital to forget in order to survive. But I did find myself questioning the denouement a little as well (SPOILER ALERT!) , as it felt as if Julia was destined to spend her life swapping father figures, as if the loss of her real one had made it impossible for her to have a relationship with someone her own age. Nevertheless, these are minor quibbles. In the end this was a powerful, gripping novel which really absorbed me and has left me still pondering on its contents days after finishing it. 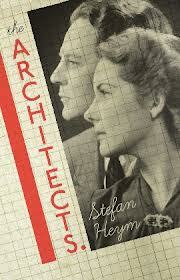 I definitely want to explore more East German fiction if it’s as rich and rewarding as “The Architects” was!